Chatting with Hal Higdon on his new book "4:09:43 Boston 2013 Through the Eyes of the Runners"
Few people in the United States were paying any attention to the Boston Marathon until a couple bombs detonated near the finish line last April, 4:09:43 after the race started. Then, the news channels were dominated by endless replays of both bombings going off, reports of the dead and injured, and speculation as to who would commit such an act. As the police filtered through the scattered images from security cameras and cell phones, a picture emerged of two suspicious men walking into the crowd with large backpacks only to calmly emerge from the chaos a few minutes later without them. From carefully sifting through the noise of billions of bits of data, the picture of the terrorists slowly emerged. 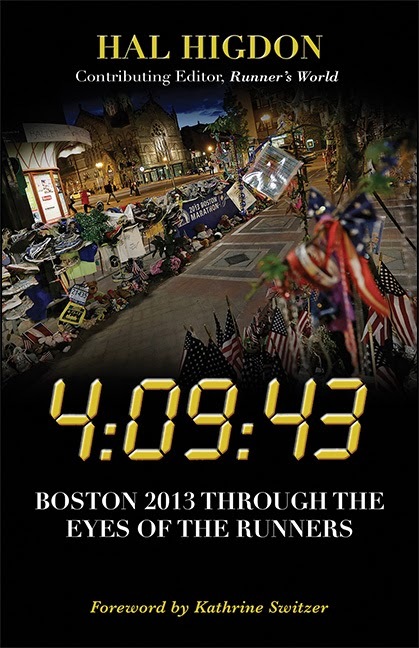 In a similar fashion, long time running writer Hal Higdon pieces together the story of the Boston Marathon Bombings through scattered stories from runners in his new book, “4:09:43 Boston 2013 Through the Eyes of the Runners”. Higdon picked through the enormous chatter of social media generated by the runners themselves to chronicle the 2013 Boston Marathon through the eyes of 75 different runners. Higdon captures the story of the race from the initial excitement and apprehension at the start, the screaming girls at Wellesley College, running up Heartbreak Hill and the final struggle to the finish line before the bombs went off sending the runners into a confused, terrifying flight from the finishing area. The result is a readable, engaging tale of the 2013 Boston Marathon from a perspective that couldn’t possibly exist only a few years ago. Higdon’s social media connections with so many runners works to his advantage, allowing him to piece together a mosaic of the race story from the words of several runners who directly experienced the entire 2013 Boston Marathon. 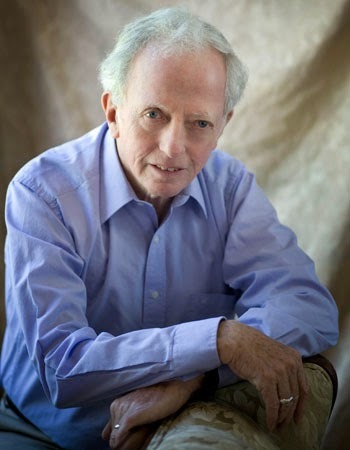 I had the chance to speak with Hal Higdon about his remarkable new book. What was it like piecing all the postings from social media all together for this book? It was really enlightening. We were all in shock after the bombings and kept seeing the replays on the news at the finish line with the bombs going off, with the clock stopped at 4:09:43. Back then, I certainly didn’t think I’d be writing a book about the race. Afterwards, runners started posting their stories to their blogs, most of them meant for only their friends and family to read. Then these postings started making their way to my Facebook page. I have a large footprint on the Internet from my Facebook page so had a lot of access to the runners who finished the Boston Marathon. That’s when it came into my head that I could write a book about the Boston Marathon Bombings and share all their stories. What did you learn putting the book together? I really got a unique viewpoint of the whole event. Most of the runners were on the course for 4-5 hours and most of that time, it was a joyous run on the course running through Boston and only at the end did the bombs go off and then all of a sudden it had a really bad ending. And that’s what I reported on. How do you think social media changes the way we look at terrorism? We have more viewpoints these days. First, there were only newspapers to get our information from. Then television came along and we got news from two sources. Then we have the Internet and social media where we learn things immediately. A lot of people remember where they were when John F. Kennedy was shot, when the Challenger Disaster occurred, when the Twin Towers fell. The 2013 Boston Marathon has become like those events, where you remember just where you were when it happened. How has the Internet changed running? Certainly one of the things that’s changing is that we can track runners who aren’t necessarily the race leaders or elite athletes. We can now follow the people we know in the race remotely, and see when they pass through the 5k checkpoint, the 10k checkpoint, ect, over the course of a race. I was watching my daughter run a marathon and I knew just when to expect her at the half way point based on her time at the last checkpoint. It’s also greatly improved our ability to dispense information. Runners from all over can ask me questions and the Internet allows me to talk directly with them. It’s all happened only in the last dozen years. Tell me about this fad you recall about beer drinking being good for running. There was this fad in the 70’s with the initial running boom that carried into the 80’s about beer being good for running, initiated some of the things Dr. George Sheehan wrote, who was a popular running writer at the time, and a number of beer companies were also involved. I’ve noticed many runners enjoy a glass of wine or a beer and most of them can control their alcohol without any problems. I ran the Athens Marathon a couple times. The first time I took it really seriously and finished under three hours, which put me in the top 10 or 15 runners. The next year I didn’t take it so seriously, and carried a few Drachmas in my pocket with me so I could stop for a couple beers along the way at bars along the course. At the second stop, I was ready to pay for my beer when the bartender stopped me, pointed to a gentleman on the other side of the bar, who waved back at me. They didn’t speak any English and I didn’t know any Greek, but I figured out the guy waving at me paid for my beer so I thanked him and headed back out onto the course. I didn’t take the race very seriously but had a lot of fun. Anything else you’d like to add about the Boston Marathon? Everyone is really looking forward to the Boston Marathon this year and it will really be the race of the century. They’ve opened up the race more to include 36,000 people. It’s going to be what we all hope will be an enjoyable time, a time to put the tragedies of the last Boston Marathon behind. We’ll always remember the 2013 Boston Marathon Bombings and I think my book is the definitive record of them. Previous Previous post: A review of "Craft Beer for the Homebrewer"
Next Next post: Is this shocking?